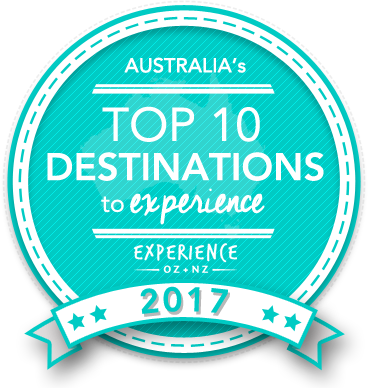 Vote forLady Musgrave Island, QLDTop Island Destinations Which are Australia's must-visit destinations? You help us decide. Host to the Great Barrier Reef's largest lagoon and one of the best overall budget options for those looking to get a sampling of a quality reef environment, Lady Musgrave Island offers an amazing snorkel and dive destination - particularly for beginners - all at a relatively reasonable, bare-bones price. It's the perfect beginner-friendly island reef destination. Another prominent coral cay in the Great Barrier Reef's southern section, and the second-southernmost island to Lady Elliot Island, Lady Musgrave Island brings along with it the characteristic high visibility levels one can expect of the south reef. While its marine life is diverse and plentiful, its the lagoon that helps set Lady Musgrave apart from its counterparts; it offers a great combination of both size and safety alongside impressive coral cover with a good mixture of both hard and soft types. Lady Musgrave Island is part of the Bunker Island group and sits roughly 59-kilometres off the coast of the town of 1770. While remaining relatively undeveloped, there are no buildings or hotels for accommodation to speak of and as a result both the island's vegetation and its vast array of birdlife continue to flourish. It's largely covered with plant life, however this tends to be less dense than many of its sister islands, which makes walking the island to spot its birds an easy and enjoyable prospect. Meanwhile in the waters, marine life also flourishes and Lady Musgrave's lagoon is a veritable hub of colourful reef fish, turtles and coral with a sand bottom and scattered bommies that are delightful to explore. Lady Musgrave Island's lagoon manages an easily navigable depth of 6 to 8 metres, and given that the island's waters offer an average visibility of around 20 metres at a minimum, it's possible to take in a wonderful underwater panorama even for beginner snorkellers. Couple this with a lack of currents and you've got one of the reef's best “starter” spots for the uninitiated who don't mind roughing it slightly. Divers are also catered for here, as there are 14 world-class dive sites available in the waters on the outer side of the lagoon's wall, including an easy and relaxed drift dive that offers the chance to spot the likes of cod, wrasse, reef sharks and eels with the occasional manta sighting. If you're looking for "value for money" islands in the Great Barrier Reef, few can properly challenge Lady Musgrave's return on investment for travellers. LooLady Musgrave to pay a visit to Lady Musgrave Island but not sure what to do? Here are some of its most essential experiences. Is Lady Musgrave Island Australia's Top Island Destination to Experience for 2017? Vote now for the chance to WIN an epic trip to one of Australia's top destinations!